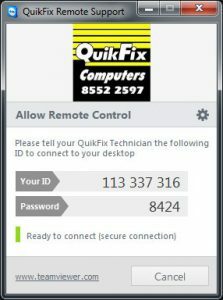 To access our remote support simply download our Remote Support application. When the application opens you will be faced with a screen that will look like this. At this point you are ready to ring us on 8552 2597 to begin your Remote Support session.